Sleep apnea should not be taken lightly as it can be life threatening. There are many symptoms you can watch for, the most obvious of which is severe snoring. This however is not the most serious symptom, so by making yourself aware of what to look for you have a better chance of nipping this condition in the bud, before it can do more harm. There is more than one type of sleep disorder a person may have, each caused by something different. 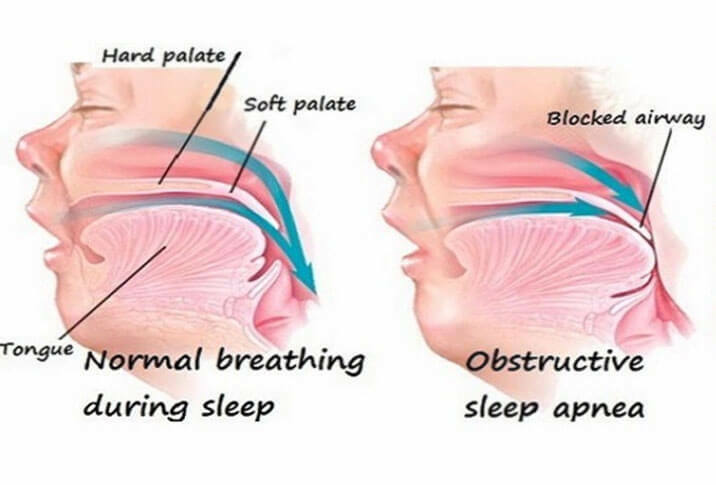 Obstructive sleep apnea is caused by blocking the airway somehow when you are sleeping. Central sleep apnea is characterized by the part of the brain that controls your breathing not working the way it should. Both can be treated by a doctor or specialist. Sleep apnea is most prominent in middle-aged men, but it is important to understand that it can afflict both men and women of all ages. Symptoms can come on at any time. In fact, children today are more frequently exhibiting signs of sleep apnea. 1. Loud snoring that disrupts the sleep of you or your partner. 2. Headaches in the morning. 3. Daytime sleepiness felt regularly; also known as hypersomnia. 4. Unable to sleep through the night. 5. Short episodes of not breathing during sleep. 6. Dry mouth or sore throat on waking. 8. Difficulties with concentration, learning or behavior. 10. Hyperactivity in children (ADHD). While the patient is aware that they are sleepy all the time they do not know that it is because they are suffering from sleep apnea. Because they are asleep, they often need to be told by their partner that they are exhibiting the symptoms. While you are experiencing sleep apnea episodes the brain is not getting oxygen. Overall this is very serious as it can lead to an increased risk of heart attack and stroke. If you or someone you know may be suffering from sleep apnea it is important that you meet with your doctor to discuss it as soon as possible.